Everyone knows that putting is more challenging is pressure situations. 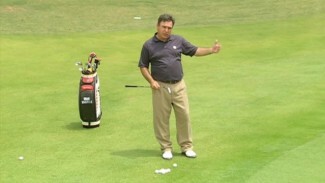 In Putting Under Pressure PGA professionals Mike Davis and Chip Koehlke teach you some practical ways to improve your putting performance when it really counts. In this lesson you will learn some practical techniques that will help you control anxiety and tension so you can relax and concentrate on your best putt. 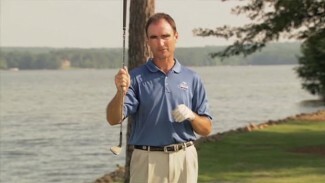 You will also discover what causes the “˜yips’ and learn how a simple two-ball putting drill can help you maintain proper stroke length and rhythm technique in pressure situations.